Britain has felt the first influx of wintry flurries over the last couple of weeks, and with the colder weather seemingly here to stay, we can’t help but think about our favourite things about winter. Whether it’s the smell of hot cocoa or the thought of curling up in front of the fireplace, there’s something quite warming about the thought of remaining toasty and cosy as the temperatures drop. Hot cocoa and toasty fireplaces aside, it’s hard to argue that bed is best when it comes to winter. After a long day of work, nothing beats crawling into bed to cuddle up with the mounds of blankets and pillows. Your bedroom should be a year-round sleep sanctuary, however, it’s important to add an additional sense of comforting cosiness to your safe haven when it’s cold and dark outside. Thankfully, with the following cosy winter bedroom ideas, it can be quite easy to turn your sleep sanctuary into a cosy haven. We have a range of mattress toppers for you to choose from which are sure to provide an additional layer of comforting cosiness. We always like to promote the benefits of a good night’s sleep. After all, we believe that good days begin with good nights. Ask anyone who’s suffered from a stray spring or broken boiler in the winter months, a disrupted sleep pattern can have a profound impact on your life. 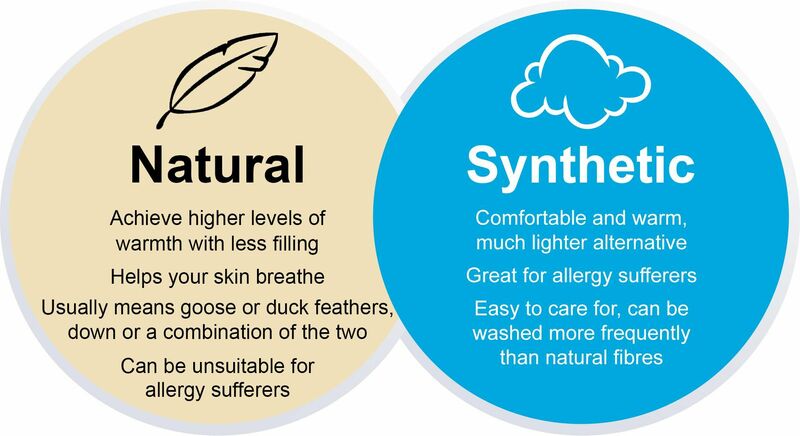 Investing in that extra layer of comfort provided by a mattress topper can make a huge difference to your sleep in those colder months. Be warned, you’ll never want to leave the comforting haven that your new mattress topper provides – especially on those frosty early mornings. We have plenty to choose from, so check out your local stockist. Warm white light bulbs or fairy lights will provide a warmly winter glow. Lighting is everything when it comes to atmosphere. If you’re looking to create a cosy hideaway, you really need to make sure that the lighting is just right. Look out for ‘warm white’ lightbulbs for that extra warming glow. 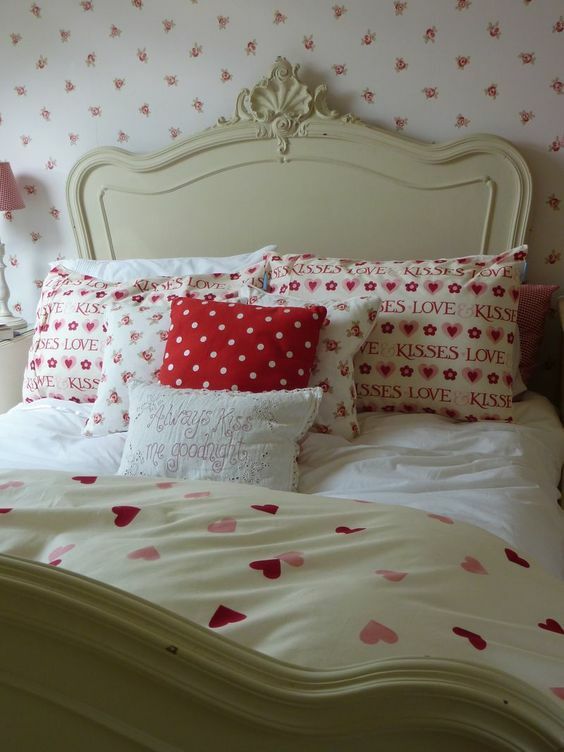 Fairy lights are a great way to add a subtle but warming glow to your bedroom. Whether you drape them across your headboard or around your mirror, the options are endless. 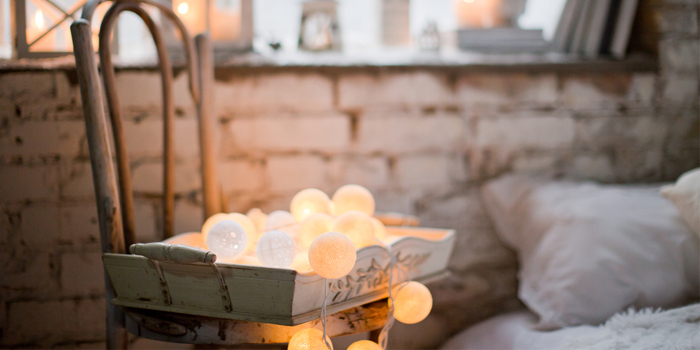 With carefully placed fairy lights, you’ll be sure to achieve that warming wintry glow. A popular and traditional scent for aroma therapies, lavender has been the focus of extensive clinical studies for its effect on sleep. Scent has the power of grabbing your attention as well as affecting your actions, however, you might be surprised by the effects of aromatherapy. 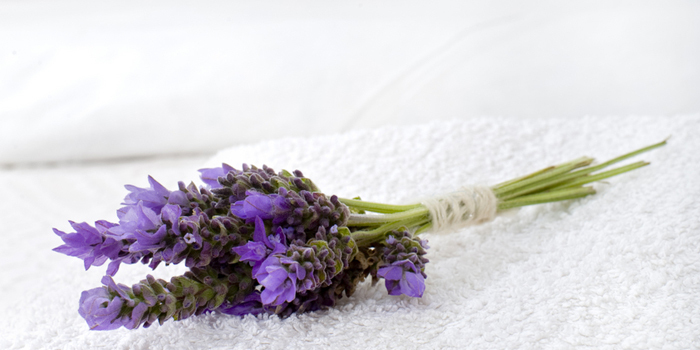 Lavender is a historical calming fragrance which has been used to quell anxiety and agitation. A few scented sprays or a couple of drops of lavender oil on your pillow will be enough to emit a soothing smell, the perfect aroma for a relaxing atmosphere. 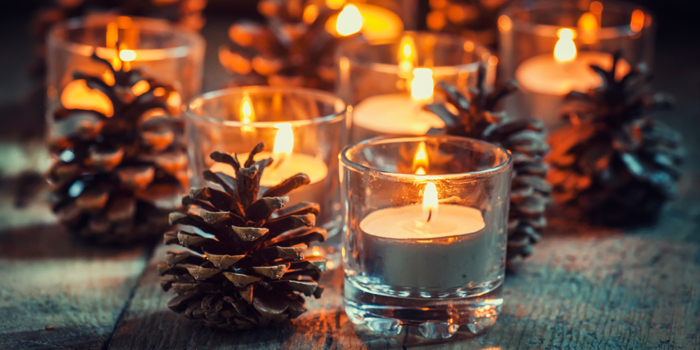 The natural flicker of a candle is naturally relaxing. Try scented candles for an increased sensory experience. Similar to the ‘warm white’ fairy lights, there’s something quite comforting about the flickering warmth of a candle. The natural light provides a sense of comfort which is programmed into us from when fire was our ancestors’ sole source of light and warmth. To provide extra comfort, why not invest in scented candles for an added sensory experience. If you have tips you’d like to share to improve others winter hideaway, join in the conversation on our Facebook and Twitter pages.